I'm mostly an FC guy, but I've recently had the honor of working on a 1984 GSL-SE that a customer brought in. We found out that the fuel pressure was slowly dropping to about 20psi before it would stall out. Digging further, we found a LOT of white / pale, powdery substance in the gas tank. This was clogging the tiny cone pre-filter in the entry to the fuel pump inlet. What I figured out after doing some digging is that this "cage" was the remnants of an in-tank pre-filter. The mesh had fallen off of the cage and was doing zero pre-filtering. The white, powdery substance was the INNER COATING of the gas tank! A brand new OEM gas tank (FA66-42-110A) from Atkins is listed at $650! There were signs of rust, but it was light surface rust. The owner did admit that the car sat around for over a year. 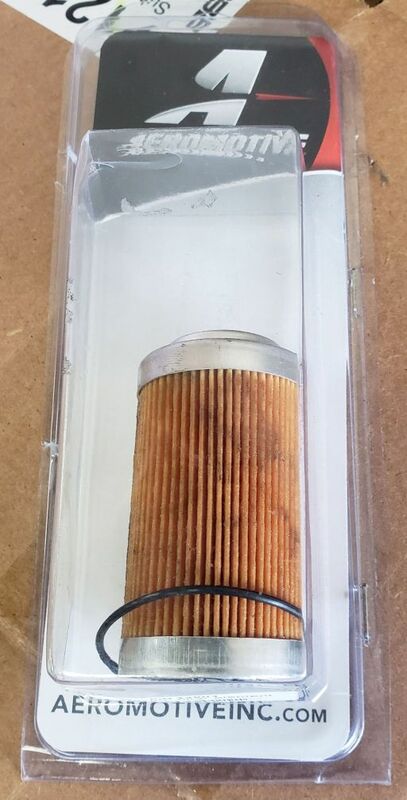 A brand new in-tank pre-filter (G037-42-113A) is listed "NLA" from Mazda - discontinued! 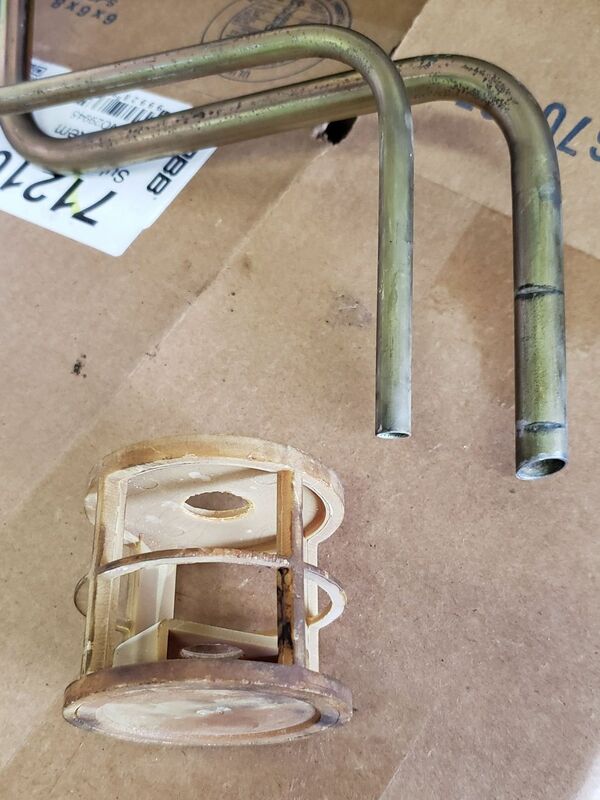 A piece of fuel hose, carburated (you NEED fuel hose rated for gasoline) - 1/2" I.D., since the pipe was right about 12.7x mm or 1/2". 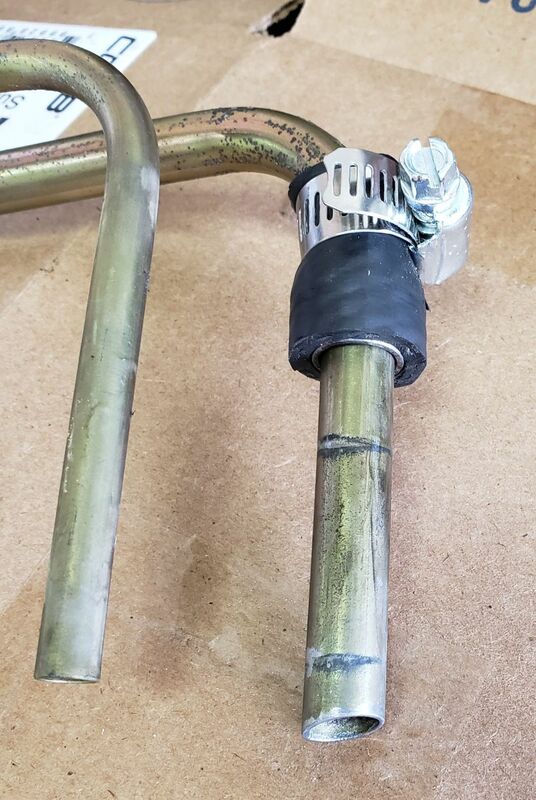 I used a metal sleeve to get the hose to expand big enough to fit snugly - if you're lucky to find fatter fuel hose, you won't need this. Sorry for the dirty fuel filter element, but I had test fitted before taking this pic. The included o-ring is not needed. 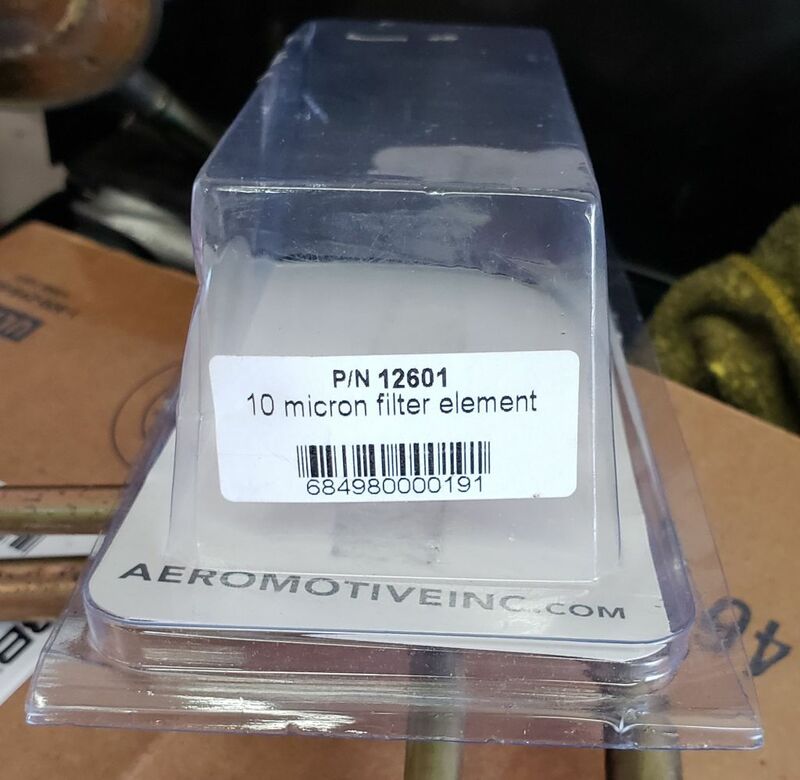 The key is to get the Aeromotive fuel filter I.D. 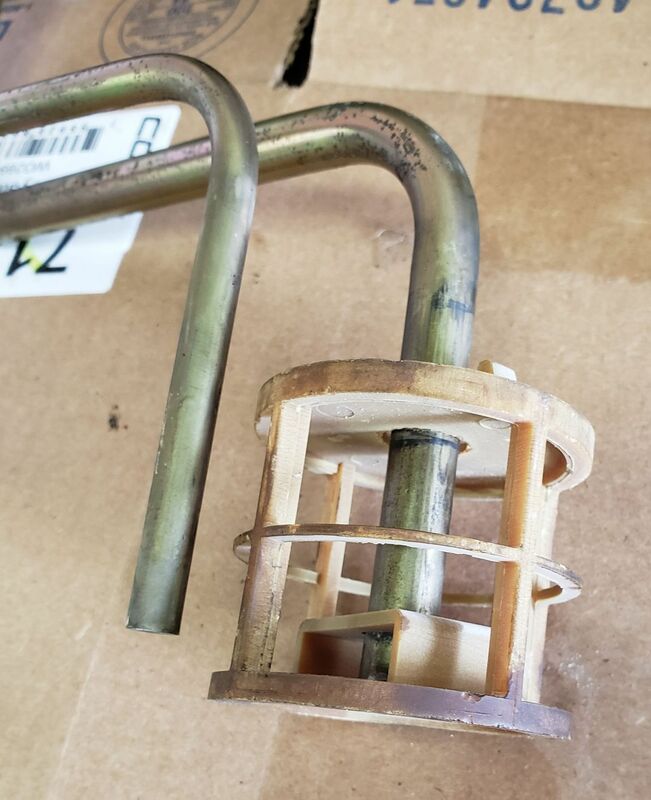 to fit snugly on the pipe so all fuel flow go through the 10 micron filter element. The clamp keeps everything from shifting around. Positioned properly, the gas tank prevents the Aeromotive fuel filter element from sliding off. This got the car running well enough for the owner to take the car home. The owner has been warned that they need a new gas tank or a VERY thorough cleaning of the original gas tank. 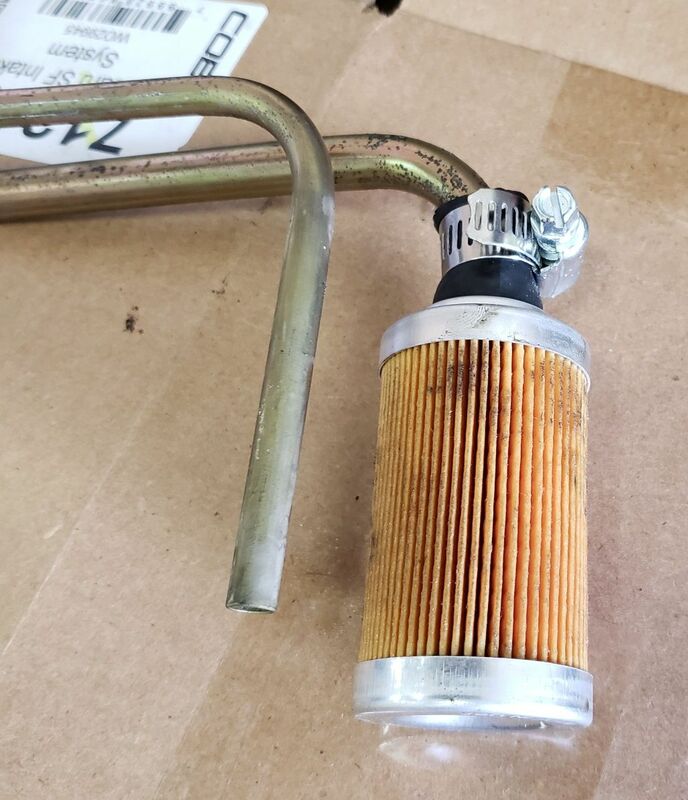 This 10 micro filter element works well enough to keep the oxidized, coating - turned powdery gunk - from killing the engine. This is a temporary fix! One more thing to check on the gslse is the inlet to the fuel pump there should be a cone shaped filter also. I found mine by accident when I had fuel delivery issues on the top end it was starved for fuel but ran fine otherwise.